UAB Medicine – A Special Place that does extraordinary things. UAB Hospital is the third largest pubic hospital in the U.S. (19th largest hospital in the U.S. out of 5,000) with 1157 licensed beds located in Birmingham, Alabama. Our census is between 1,000-1,100 patients in the hospital daily. We have a dozen Intensive Care Units with 423 beds. 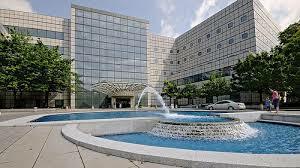 The Kirklin Clinic is connected on the second floor of the hospital and is a specially designed “superclinic” for outpatient care housing more than 600 physicians in 33 specialties under one roof and serving 2,500 patients a day. 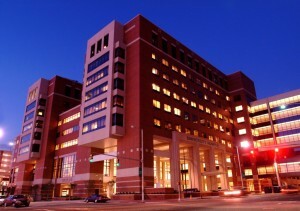 UAB Hospital is the teaching hospital for the University Of Alabama School of Medicine. As a tertiary care facility, UAB Hospital is a Level 1 Trauma Center and is in the top 10 for Severity of Illness in the U.S., and provides specialized care and research in multiple medical areas including: heart disease and surgery, organ transplantation, kidney disease, lung disease, cancer, diabetes, strokes, arthritis, spinal cord injuries, and critically ill newborns among many others. In its 2013-14 list, U.S. News & World Report ranked UAB Hospital as the top hospital in Alabama. The hospital records almost 49,000 discharges annually (130+ daily) and was also among the top 50 in the nation for rheumatology, urology and nephrology. State’s only solid organ transplant program, including heart, liver, lung, and kidney. The UAB Callahan Eye Hospital is the nation’s first and only Level I ocular trauma center, which treats 2,200 people every year for eye trauma. UAB Hospital has been granted recognition as a Magnet hospital for the third time from the American Nurses Credentialing Center, signifying the hospital’s place in an elite group of fewer than 400 hospitals around the world acknowledged as centers for nursing excellence. UAB Hospital is among 3 percent of hospitals nationwide, and the only one in Alabama, to make the U.S. News and World Report list of “Best Hospitals” (ranked 19 straight years). It is also the only area hospital to receive National Research Corporation Consumer Choice Award. For more on UAB Health System, please visit UAB Medicine. With patients arriving each day from around the world, UAB Hospital is an exciting place to provide pastoral care which has been integrated into the hospital system since 1969. The Department of Pastoral Care has been offering Clinical Pastoral Education since January 1988. Students benefit from this cosmopolitan atmosphere and especially from their exposure to many of the world’s most talented health care professionals.